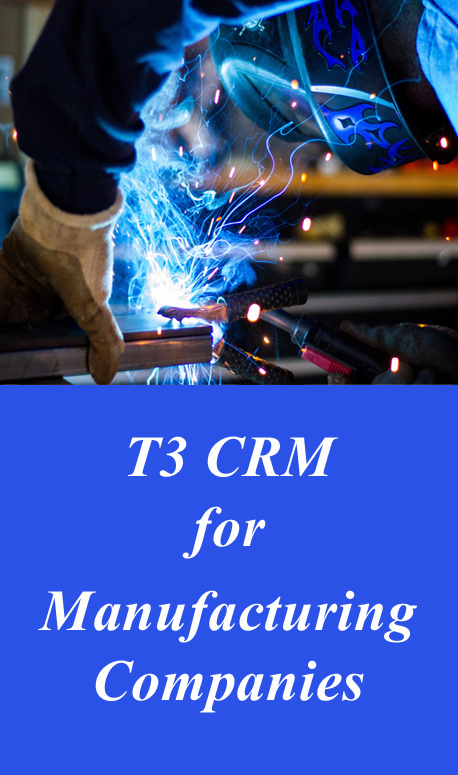 T3 CRM solution for manufacturing industries is designed especially to improve customer service. With the help of T3 CRM manufacturing software user gets the better view into sales forecasting, productivity, customer involved and also to view the manufacturing workflow process. We are also aware that all the manufacturing company is different from one another that is why our software comes with a customizable option which will suit each and every manufacturing companies requirement. So at the time from order packing to order process T3 CRM manufacturing software is a perfect solution to get the work done effortlessly. T3 CRM for manufacturing offers all in one solution in one single roof.